The staff of ChiArts is committed to providing a high level of quality education, both artistic and academic, to its students. In order to reap the benefits of this well-rounded education, each student and parent is asked to make a commitment to the rigorous demands of this unique program. Discipline, respect, a positive attitude, a willingness to learn and experience new ideas, dedication, thorough preparation for class, and regular attendance are necessary components for the success of each student. Students are expected to be fully engaged in class, work to their fullest capacity, and be open to new ideas and experiences. Students are expected to respect instructors, staff, and fellow ensemble members, as well as the curriculum, classroom and school policies and procedures, and the lesson plans. The work of an actor requires respectful interaction between students and instructors and includes verbal and physical contact. All parties are expected to conduct themselves with respect and consideration. If a student has a condition that requires attention, they should communicate with the instructor, Department Head, or counselor so appropriate measures may be taken. From the moment a student enters any classroom, the focus should be and should remain on the work. Students are expected to arrive at all Conservatory classes with the appropriate materials and assignments, dressed in the required clothing, and ready to work. Materials generally include but are not limited to three-ring binders with notebook paper, journals, notes, scripts, music, pen/pencil, full water bottle (clear material), completed assignments and planner. Check the syllabus for each class for required materials. Students are expected to make use of the time between classes to use the restroom, fill their water bottles, and change their clothing if necessary. If an instructor is providing a break during class, students may use the nearest restroom and water fountain. Students may not leave the floor on which their classroom is located during breaks. Punctuality and reliability are valued traits for professional artists, and ChiArts holds its students to these same standards. The ChiArts Theatre curriculum is performance-centered, with each member of the ensemble relying upon the others for a successful learning experience and performance. When a student is absent, it affects his/her ensemble, since we rely on the participation of all members of the ensemble. Regular attendance is critical and will be a significant component of each student’s grade. In addition, students are encouraged to treat their bodies with respect by eating a healthy, well-balanced diet and getting exercise and rest. See the ChiArts Guide for the policy regarding consequences for tardiness to school. Students who are tardy to Theatre Conservatory classes will lose points from their daily participation grade. In addition, if a student misses two rehearsals for a performance, they may forfeit the opportunity to participate in that performance. Students may not participate in technical rehearsal, performances or other activities if they are not in school on those days; this may result in forfeiting a performance opportunity and/or the lowering of a grade. If you are scheduled for any activities, be in school. A student’s enrollment in the Theatre Conservatory is for the duration of the entire school day, which ends at 5 p.m. every day that ChiArts is in session. In order to provide a consistent education and to ensure fairness for all ensemble members, it is the school’s policy that students must attend the entire school day. It is recommended that any personal appointments, such as doctor visits, occur outside of school time. Any time that a student leaves school before the end of the day, for whatever reason, a parent must contact the main office in advance to make arrangements. As stated before, it is the student’s responsibility to inform the instructor as soon as s/he knows a class will be missed, to make up any work, and to turn in assignments on time. Due to the nature of our performance work, some assignments may not be able to be made up. Students are responsible for making up any class work, assignments, tests and assessments as a result of missing classes. Students must contact their instructors to get this information; it is not the responsibility of the instructor to inform students. If a student knows in advance that s/he will be absent on a date that an assignment is due, it is his/her responsibility to immediately inform the instructor of this. Since some assignments may not be able to be made up, it is at the instructor’s discretion if an alternate assignment may be assigned. A student’s enrollment in the Acting or Musical Theatre program is for the duration of four years. The scope and sequence of the Theatre Conservatory follows a highly rigorous sequential curriculum that begins with instruction in the foundations and progresses in a structure designed to encompass greater challenges and more advanced instruction. Students must follow this sequence and are not permitted to request changes in their class schedule. No exceptions will be made. Students must earn a minimum of a D each semester in every Conservatory course every semester in order to move forward to the next grade level of Conservatory courses. Students who fail to do so are in jeopardy of repeating an entire year’s Conservatory class sequence. The schedule does not allow for retaking a single class, and there are few, if any, resources for completing summer study in the specialized courses that the Theatre Conservatory offers. It is imperative that students and parents stay on top of this. If a student repeats a year of Conservatory courses s/he will very likely not be eligible to graduate from ChiArts as s/he will not have the necessary number of arts credits. 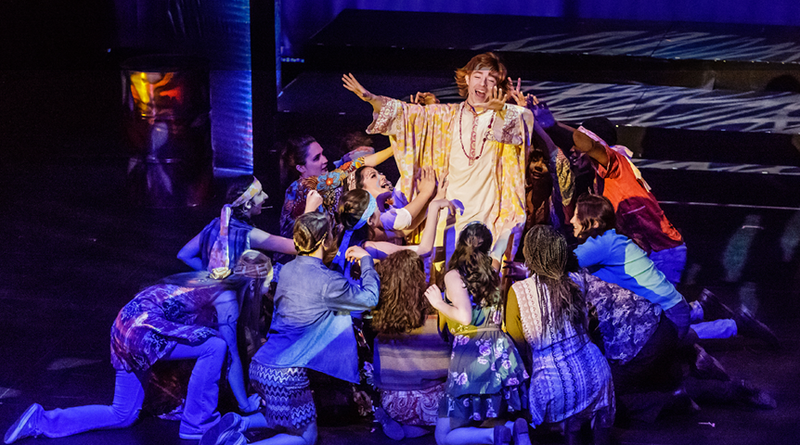 ChiArts offers its Theatre students the opportunity to participate in several performances throughout the year. These performances are an opportunity to show family, friends, and the ChiArts community examples of work in and out of the classroom. It is entirely at the discretion of the instructor and Theatre Department Head to select the material to be presented and to assign casting. Students who have not completed the necessary preparation or have at least two absences during the performance preparation period may forfeit the opportunity to take part in these performances. If these performances are connected to a class, it will impact your grade. Due to the particular scope and sequence of the curriculum and school performances outside of class (i.e. : Curtain Call, Winter Performance, etc. ), ChiArts must be a first priority for its students. Students who wish to participate in any outside activities including, but not limited to, auditions, performances, other arts programs, personal lessons, camps and competitions, must submit an Outside Activity Form, in advance, with full and detailed information, notifying the Theatre Department Head of their intention to participate in a non-ChiArts related activity. The Department Head will then advise if this is an activity that will conflict with ChiArts and is valuable to the student’s training. The Outside Activity Form will always be available to download from the digital locker on TeacherEase. Students will be responsible for any classroom work should they miss class as a result of an outside activity. If an outside activity conflicts with two rehearsals for a ChiArts performance or event, the student may forfeit his/her participation in it. However, know that doing so could negatively impact a student’s grade if it is connected to a class. Guests – No guests are permitted in class unless they are a part of a ChiArts designated day or activity or if pre-arranged with the Department Head. No food, candy or gum chewing is permitted in class. The only beverage that a student may bring to class is water in a clear bottle or container that can be sealed completely. Electronic devices – Conservatory classes follow the school policies and procedures regarding these. The Theatre Conservatory requires that all students wear proper attire to insure focus on work and safety. Below are dress code requirements for performance classes. The Theatre Conservatory faculty will strictly adhere to these lines. Students who come to class in clothing other than what is outlined below will receive points off for the day and may need to sit out and not participate in the class activities. Solid black, white or gray pants, loose enough so you are free to move, but not overly baggy so that they obscure the body. These can include tights, yoga pants, athletic shorts or sweat pants. Black rubber-soled shoes – NO open-toed sandals or heels. Standard ballet or jazz shoes that are acceptable for ChiArts Dance classes may be worn. No rings, watches, bracelets, necklaces, or tongue or lip piercings. The only acceptable earrings are small studs. No outerwear will be allowed in class. This includes t-shirts, leg warmers, sweat/pajama pants, shorts, head scarves, hats and/or bandanas. No rings, watches, bracelets, necklaces, or earrings will be allowed in the dance studio (small stud only for female students). Nails must be no longer than fingertips. See specific requirements below. Specific items are required for Dance classes – see below. The item numbers and prices below are from www.discountdance.com. If ordering from there use Teacher Code 46359 to earn points for ChiArts. If purchasing elsewhere, use these as a reference. Students will be given permission slips for many ChiArts activities, including off site rehearsals, performances, field trips, and competitions. Anything that will require a student to be taken to a location away from the ChiArts campus will legally require a permission slip to be read, filled out, and signed by a parent or guardian. Sometimes the slips will require a signature from teachers as well. It is imperative that these are completed and turned in by their designated due date. The best practice is for the student to take the slip directly to a parent the day it is handed out and turn it in the following morning, along with any payments for that particular event. Permission slips will always be available for download in the digital locker on TeacherEase as well. It is highly recommended that students continue their training during the summer break. Many organizations offer summer classes, camps and performances. These usually begin the enrollment process in January, with early deadlines for scholarships and financial aid applications. ChiArts will provide information about these opportunities as it is received. The Summer Programs Catalogue is always available in the Digital Locker on TeacherEase and is updated often. However, it is incumbent on students and parents to do research as well. Our goal is to have every Theatre student participate in a program during the summer.